The Best Fish to Eat and the Most Dangerous. Avoid These 5 Types Of Fish! Fish can be an excellent addition to a healthy diet, since many types are rich in omega-3 fatty acids and offer a source of lean protein that is lower in saturated fat than most types of meat and poultry. On the other hand, various types of fish can be extremely high in mercury, a buildup of which may cause cardiovascular and neurological disease. Read on to find out which fish you should be adding to your plate, and which you may want to toss back into the ocean. Salmon. A 2010 study on the benefits and risks of different types of fish named salmon as extremely high in Omega-3s and low in mercury. If you have a number of salmon options to choose from, go with a wild-caught Alaskan salmon or a tank-farmed Coho salmon, and stay away from farmed Atlantic salmon. Albacore tuna. Although some types of tuna can have extremely high levels of mercury, troll- or pole-caught albacore tuna caught in the Pacific Ocean is a safe bet, according to Seafood Watch. Oysters. One serving of oysters contains 300 mg of Omega-3s and about a third of the daily recommended amount of iron. Even better, oysters are super sustainable and can even help improve local marine ecosystems, so you’re helping the environment while helping yourself! Sardines. Wild-caught sardines are super inexpensive, and contain more Omega-3 fatty acids in a three-ounce serving than fish like tuna and salmon. Plus, sardines are extremely high in vitamin D. Stick to Pacific sardines if sustainable farming is a concern for you. Sea bass. While sea bass, especially of the Chilean variety, has become quite trendy in recent years, it also contains some of the highest mercury levels of fish that you would commonly find as an option when you go out for a meal. Shark. Although it’s not typically a common menu item, this more exotic option contains extremely high mercury levels, since these predatory fish tend to gobble up marine life lower on the food chain. All of that mercury builds up in the shark’s body, to be transferred to yours if you decide to go on a culinary adventure. Mackerel.King mackerel, specifically. High levels of mercury have earned mackerel a consumption recommendation of zero servings per month for women and kids from the Environmental Defense Fund (EDF), with a suggestion that half of a serving per month may be okay for men. Walleye. High in both mercury and the toxic compounds known as polychlorinated biphenyls (PCBs), walleye, a favorite of those who fish for sport, is something that you may want to avoid eating at all. Swordfish. Like sharks, swordfish are marine predators that tend to build up extremely high mercury levels as they munch on smaller critters that live in the water. While the EDF suggests that men can get away with eating one serving of swordfish per month, they recommend that women and kids of all ages avoid it. How do you decide what fish to buy? 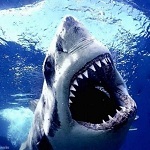 Latest Headlines » Nutrition » The Best Fish to Eat and the Most Dangerous. Avoid These 5 Types Of Fish!